Following an article in The Guardian, we wanted to understand what impact exercise has on children as they grown up – even for those that end up swapping their trainers for slippers. The article references a damning international report that compared child inactivity in over 40 nations. They found that England and Wales were the third-worst in the list, with Scotland at the bottom. So, why is it so important us Brits change this for the next generation? There’s no disputing that an active childhood has plenty of short-term benefits for little ones; stronger bones, a healthy heart, improved mental health, the list is endless… but there is now more research than ever to prove the long-term effects, too. As stated in the article, “doing enough physical activity to improve cardiorespiratory fitness in childhood is directly related to the structure and function of the developing brain, especially regions such as the hippocampus, which is involved in memory, and the prefrontal cortex, which does not complete its formation until your early 20s.” – And it doesn’t stop there! The article goes on to explain how those who have been more active in their early years are much more likely to continue their fitness through adulthood, significantly decreasing their chances of developing illnesses such as diabetes or heart-related diseases. 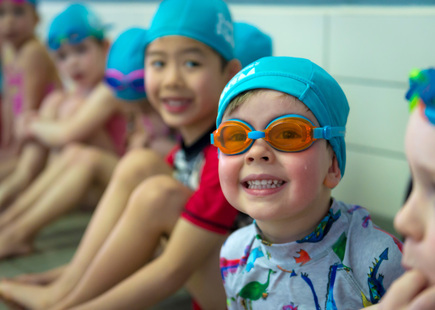 At SwimStars, we believe all children should have the opportunity to learn to swim. Our lessons are delivered by first-class teachers that encourage a lifelong love of fitness with an emphasis on FUN!